Not even the prospect of heavy rain could spoil the planned Riverside Dinner last Saturday. 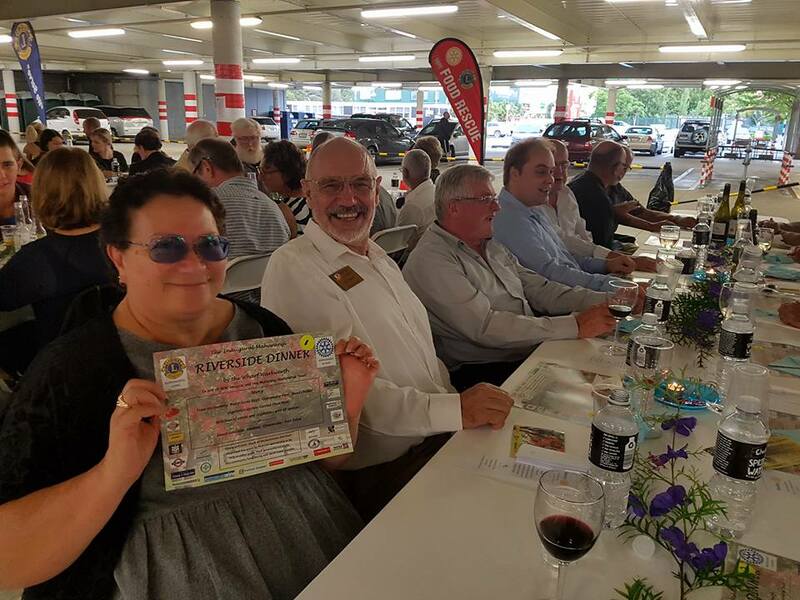 Because of the forecast of rain, the joint organisers, Warkworth Lions and Mahurangi Rotary, wisely moved the event to the planned wet weather location, New World undercover car park. The carpark was transformed into a 240 seat banqueting hall where over 200 diners enjoyed a roast dinner followed by a selection of desserts. During the meal entertainment was provided by Warkworth Brass Band as they played their wide repertoire of Big Band music. Decoration of the dining area with ships flags and various maritime memorabilia including anchors, oars, lifebelts, navigation lights etc. gave a nautical atmosphere to the event. The event was attended by our local political leaders, MP Mark Mitchell, Councillor Greg Sayers and Local Board Member Beth Houlbrooke. Rotary District was represented by Governor Peter Smith who traveled down from Whangarei and was by joined other Rotary leaders from Whangaparaoa and Henderson. Local Toastmasters Chairman Murray Chapman kept the proceedings moving along in his inimitable style. He introduced Mahurangi Rotary member Arnold Nicholls who initiated this Riverside Dinner project and drove it through to its successful conclusion. Representatives of the two intended principal beneficiaries of the event, Kathryn Ashworth of Warkworth Wellsford Hospice and Peter Thompson of the Mahurangi Restoration Trust spoke about the visions of their respective organisations. They both praised the community spirit which exists in Warkworth which results in events like the Riverside Dinner being organised. 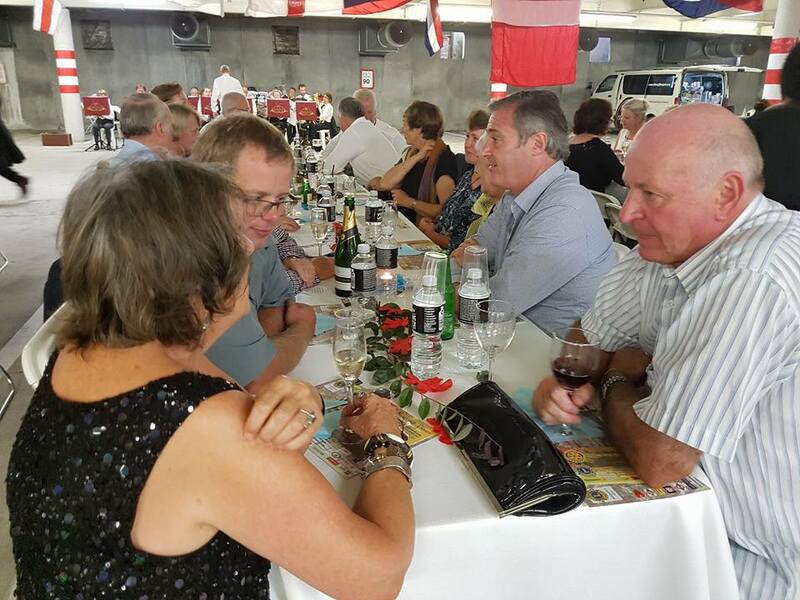 Although Mahurangi Rotary and Warkworth Lions organised the event a large part of the success of the event is due to the generosity of the main sponsors, Mason Contractors, Composite Joinery and Fulton Hogan. But just as important was the support of numerous other companies who donated materials, services, gave generous discounts or provided practical assistance. The organisers of the event are truly grateful for their community involvement and support. Provisional accounts indicate that over $18,000 was raised and $9000 was donated to Warkworth Wellsford Hospice for their new building and $9000 to the Mahurangi River Restoration Trust for riverbed and riverbank improvements. Mahurangi Rotary is a new satellite club in Warkworth (Parent Club is Henderson).